For better or for worse, the holiday season is upon us. And for those of you who are still at a loss for what to ask for, (or don’t know what to get your friends) we’ve compiled a list of what we think are the coolest, helpful gadgets for people around the house. This is a must-have for anyone who takes tons of pictures. 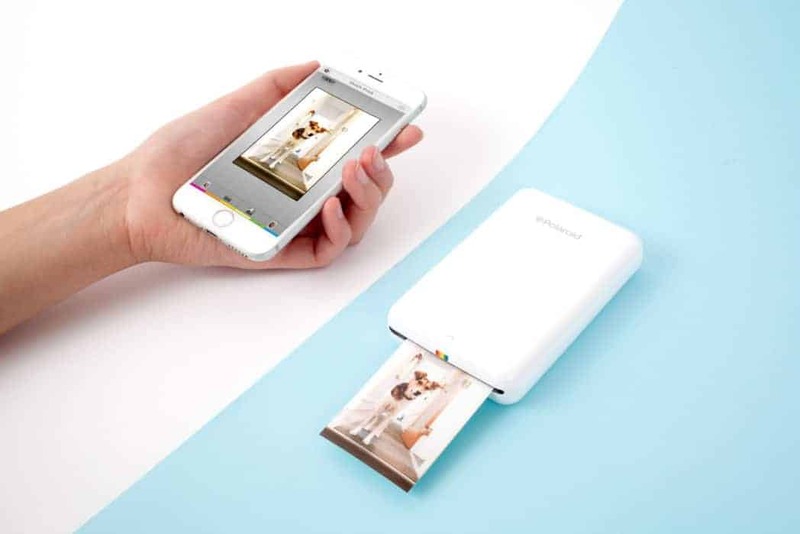 The Polaroid Zip is a small, portable photo-printer that prints directly from your iPhone or Android via bluetooth. The photos themselves are 2×3 inches, full-color pictures that also have sticky backs for easy scrapbooking (if you’re into that sort of thing). The Zip is 2.9” x 4.7” x 0.9”, and it weighs a feather-light 6 ounces. Perfect for on-the-go memories. It also doesn’t use any ink, and according to Polaroid, it uses “ZINK” (or “Zero-Ink”) paper. This paper is heat-activated by the printer and prints full color, so you don’t need to fuss around with incredibly expensive ink. The printer costs $129.99 on Amazon, and the paper itself can be bought for $25 for a 50-pack. We’re not obsessed with printers, we promise. This one’s just too cool. 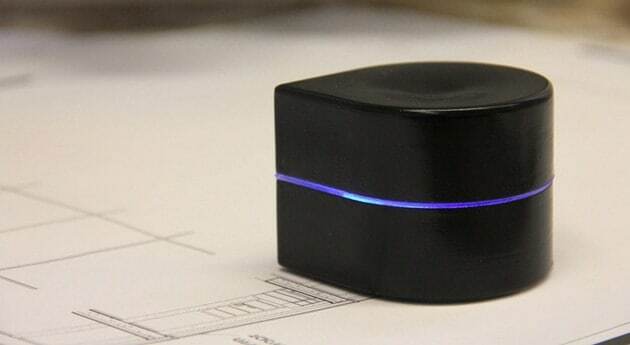 The Zuta is a neat little portable printer that connects to your devices via WiFi. It’s a teardrop shaped device that you set on a piece of paper and it zooms itself around the paper, printing your document. While this can’t really be used for practical, multi-page documents, it can be pretty convenient on the go when you need to print an airplane ticket, or some small document. The printer costs $200 which includes one ink cartridge. Replacement cartridges are $20 each and print around 100 pages. It can also be used as a stand without the mounts, to put on your desk or other flat surfaces. 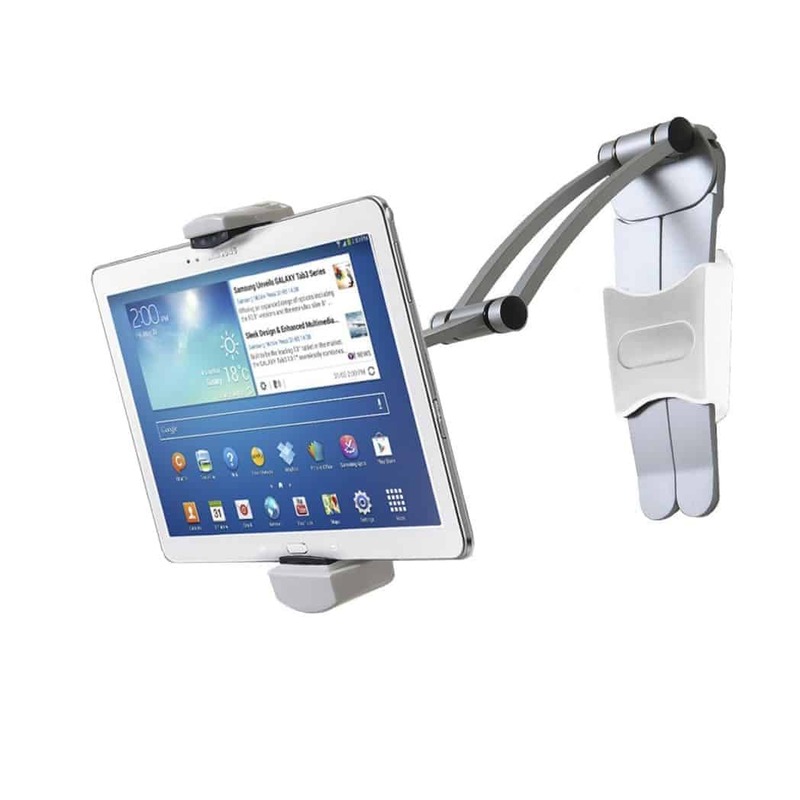 The thing that makes this a little unique from other tablet-holders is that this one has a moveable arm. You can move and maneuver your tablet around wherever you need it, which is a nice touch. At an affordable $32.90, this can save you from needing to scrub your tablet clean after your holiday cooking. 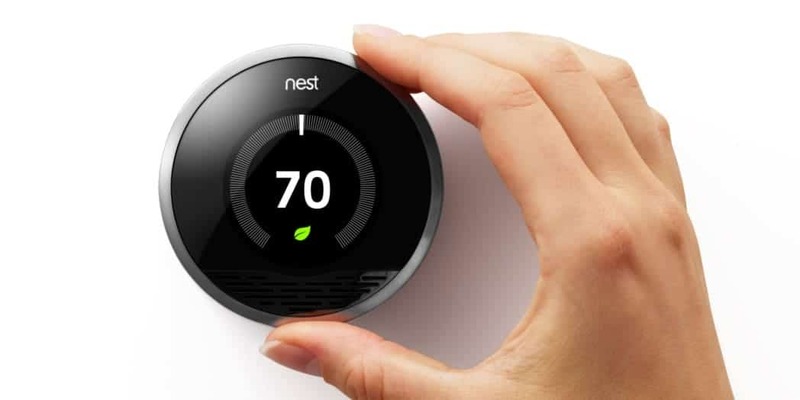 As we march onwards to increasingly-smart homes, the Nest Learning Thermostat actually does seem pretty cool. It’s a “smart” thermostat that you can install in your home, and can be controlled using an app, as well as the interface on the screen. Additionally, it has an “away” setting that can sense when you leave the house, and adjusts the temperature accordingly to save power. This can make a nice impact on your power bill, especially if you’re like someone who works here in the our office who always forgets to turn her A/C off and costs herself a fortune in energy bills every month. Not naming any names, though. The thermostat costs $250 and can be installed by yourself. With the new Star Wars film, there are Star Wars toys galore to choose from. The newest addition to your arsenal of collector goods is the BB-8 by Sphero droid. 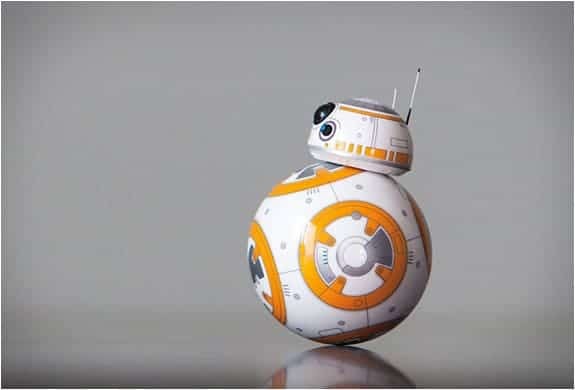 BB-8 is the new little robot in the Star Wars franchise that captured our imagination, and now it will capture our wallets. This droid can be motion-controlled by an app on your phone, and can do some pretty neat tricks. It has an “adaptive” personality, meaning it can learn from your actions, and it can also record and play holographic videos for all of your distress signals to lost Jedis. It costs $149.99 to have your very own robot sidekick. To Server Refresh or Not? Get your free trial of LinkFixer Advanced. Copyright © 2018 LinkTek Corporation. All Rights Reserved. “LinkFixer Advanced” is a trademark of LinkTek Corporation. “Microsoft” and “Microsoft Project” are registered trademarks of Microsoft, Inc. All other trademarks are the property of their respective owners. LinkTek Corporation is not responsible for inadvertent errors. Copyright © 2018 LinkTek Corporation. All Rights Reserved. “LinkFixer Advanced” is a trademark of LinkTek Corporation. “Microsoft” and “Windows” are registered trademarks of Microsoft, Inc. All other trademarks are the property of their respective owners. LinkTek Corporation is not responsible for inadvertent errors. Copyright © 2018 LinkTek Corporation. All Rights Reserved. “LinkFixer Advanced” is a trademark of LinkTek Corporation. “Microsoft” and “Microsoft OneNote” are registered trademarks of Microsoft, Inc. All other trademarks are the property of their respective owners. LinkTek Corporation is not responsible for inadvertent errors.